Advancement of medical devices and improved surgical techniques have made it possible to perform laparoscopic bariatric surgery with just a single-incision. Minimally-invasive single-incision gastric sleeve surgery is the newest technique to further less invasive laparoscopic surgery and to encourage more people to endure it. Mexico Bariatric Center, the pioneer in bariatric procedures, is proud to be one of the first weight loss centers in Mexico to offer Single-Incision Laparoscopic Surgery (SILS). Gastric Sleeve Surgery, or Vertical Sleeve Gastrectomy (VSG), is a bariatric procedure used to help patients lose weight that is hard to do with diet & exercise and pharmacotherapy. 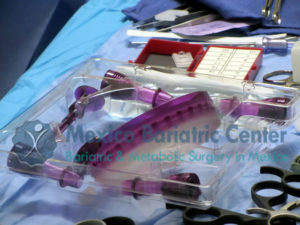 Gastric sleeve is fast becoming the preferred weight loss surgery in Mexico and around the world. In this procedure, restriction of the stomach is achieved by removing about 85% of the stomach. The hunger hormones are removed as it resides on top part of the stomach. The patient does not feel as hungry and feels full faster, which aids weight loss. Most patients see rapid and significant weight loss similar to that of more intrusive surgeries such as gastric bypass. 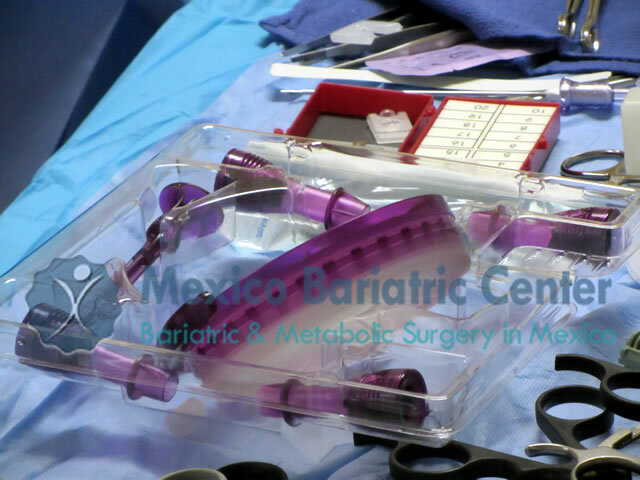 Mexico Bariatric Center (MBC) is at the forefront of Laparoscopic Single-Incision Gastric Sleeve (also called belly button VSG) and the surgeons working with MBC have the most experience in the world. MBC’s leading robotics surgeons offer single-incision gastric sleeve in Tijuana, Mexico. They have training by top surgeons in Brazil, Mexico City, and Tijuana as well as Mayo Clinic in the United States. Contact our help patient care coordinators today to learn more about undergoing Single-Incision Bariatric Surgery. Single-Incision, or as it’s often referred to single-incision laparoscopic surgery and is a way to reduce the scars left by open and laparoscopic surgery. The operation is performed through one incision approximately one and a half inches wide in the umbilical or naval – hidden inside the belly button so that the abdomen almost looks scar-less. The history of single incision laparoscopic surgery, or SILS, first originated within general surgery in 1992. Since then, single-incision has been used for many types of surgical procedures with very effective outcomes. 1969: First appeared in gynecology using single-incision laparoscopic surgery. 1997: Gallbladder removal and cholecystectomy, using SPL, or single-port laparoscopy. 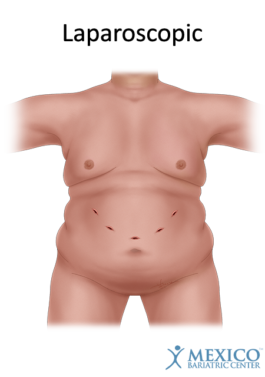 2010: Sleeve Gastrectomy, or gastric sleeve, using single-incision laparoscopic surgery. 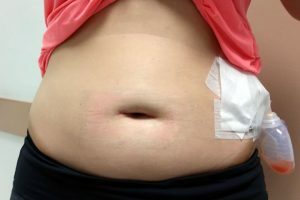 The single-incision surgery is becoming a popular surgical procedure using minimally invasive techniques, primarily using the navel, or belly button, as the access point to perform surgery. The benefits of a single incision surgery are the patient’s small, usually noticeable scar. Single-incision became a viable option for very experienced surgeons who were able to operate on patients using only one incision. This technique takes a longer time to complete as it is more difficult than general laparoscopic surgery. In Mexico, single incision laparoscopic surgery is growing in popularity for patients who want little to no scarring. Laparoscopic Gastric sleeve surgery is performed with traditional ports of five to seven incisions. 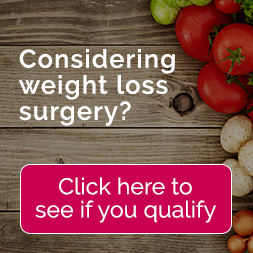 With the advancement of ROBOTIC and SPIDER surgery or similar surgical machine, a bariatric surgeon can now make one small incision to complete the same procedure. A surgeon fills the abdomen with some carbon dioxide to give it a bubble shape in which they can operate. Then the spider piece is placed through the same incision so that a camera can be inserted as well as other important instruments used during the procedure. This operation is performed in the umbilicus (navel or belly button) or the middle line above the umbilicus. During this procedure, a surgeon will free up a portion of the patient’s stomach and seal and divide blood vessels leading into the stomach that is now removed. A calibration tube (bougie) is passed, through the mouth, all the way down to the stomach. The stomach is then stapled and divided into a sleeve, alongside the bougie. The cut portion of the stomach is later removed from the body through the same small incision used. After the stomach is removed and all the instruments are removed, the small incision is closed. The procedure itself takes about 90 minutes and patients typically go home two days after surgery. 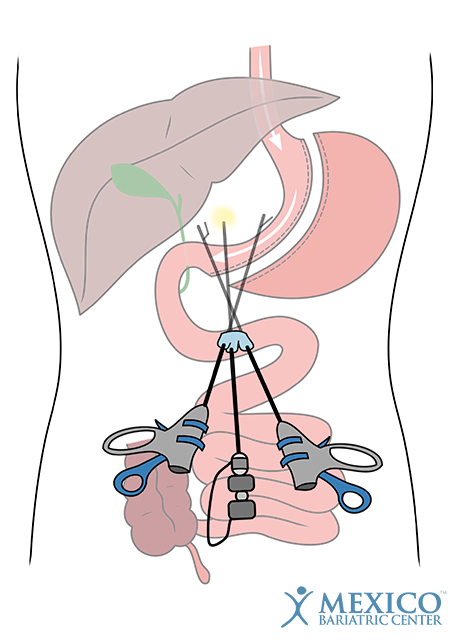 In about 14% of the time, a trocar is placed into the upper abdomen so the surgeon can move the liver as moving the liver is crucial for a successful operation. SILS cannot be performed on patients who have had a previous bariatric procedure since internal scars make a single-incision very difficult to impossible. Mexico Bariatric Center surgeons use GelPOINT Port &COVIDIEN SILS™ Port for SILS surgeries. Advanced Access Platform enables a minimally invasive laparoscopic operation by facilitating the triangulation of multiple standard instruments through an insertion point. GelPOINT Advanced Access Platform is a medical device used to perform gastric sleeve and gastric banding single-incision. This device, made by Applied Medical, has a low internal profile, wider external profile and allows Trocars to be moved around with ease. COVIDIEN SILS™ Port multiple access port, made by Medtronic, is designed to facilitate laparoscopic surgery through a single-incision. Freedom of motion, optimal access, maximum maneuverability, and ease of use makes this device ideal for Single Site Sleeve Gastrectomy. Just What Are the Benefits and Risks of Laparoscopic Surgery? Updated: Nov 28 2017, by Ron Elli, Ph.D.